If you’re a long-term Kodi user, you’ll know that updating the desktop version of the app on Windows, macOS, or Linux is not as simple as it probably should be. If you’re a new user 7 Essential Kodi Tips for New Users 7 Essential Kodi Tips for New Users If you're just starting out on your Kodi journey and don't have a clue where to begin, we're here to help with these essential Kodi tips for newbies. Read More , you’ll soon find out! Kodi does not have an auto-update feature. Instead, you need to keep abreast of the latest Kodi news so you know when a newer version is available. At the very least, you need to get in the habit of checking the Downloads section of the Kodi website on a semi-regular basis. Updating Kodi on Android can either be a lot simpler or a lot more complicated. It all depends on how you chose to install the app originally. Let’s take a closer look. Here are the two methods for updating Kodi on Android. The easiest way to keep Kodi up-to-date is to install the Google Play Store version of the app and set it to update automatically. 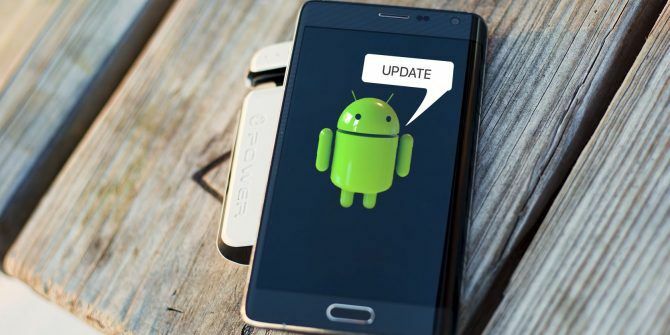 To set downloaded apps to auto-update, open the Google Play Store app on your device and navigate to Settings > Auto-update apps. You should choose either Auto-update apps at any time or Auto-update apps over Wi-Fi only. If you don’t want to enable auto-updates, go to My apps and games and see if Kodi is listed in the updates pending section. If you downloaded the Kodi’s APK file from the official and sideloaded it on your device How to Sideload Any File onto Your Android Phone or Tablet How to Sideload Any File onto Your Android Phone or Tablet You may have come across the term "sideloading" before, but what does it mean? And how can you go about sideloading apps or files? Read More , the process is a bit more drawn out. Firstly, you’ll need to delete the app from your Android gadget. Therefore, you will lose all your data. Next, head to kodi.tv/download, grab a copy of the new APK file, and reinstall it manually. Which method do you prefer? You can leave all your opinions – along with any questions – in the comments section below.